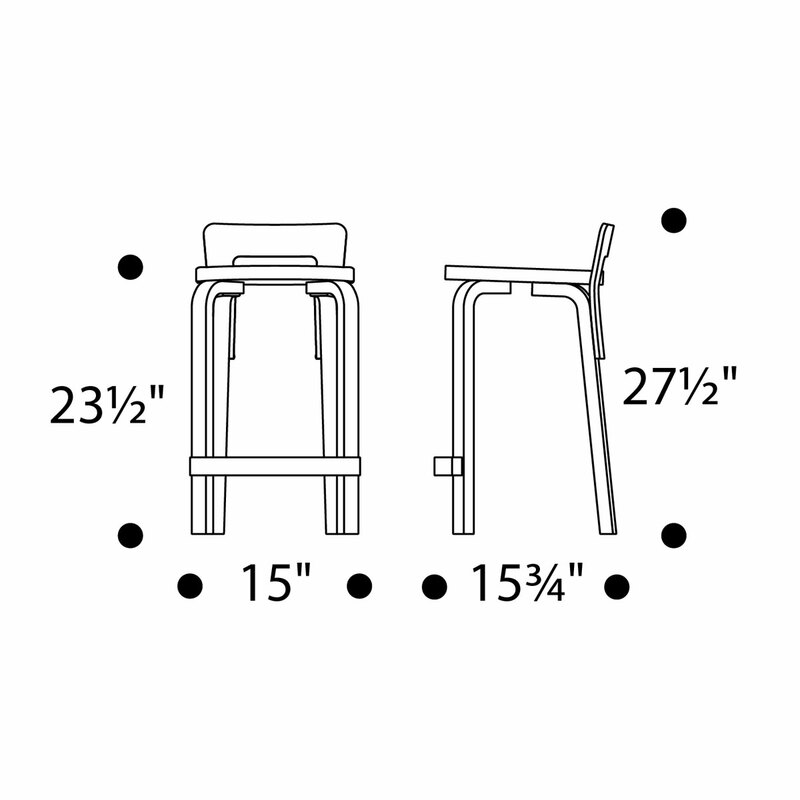 Alvar Aalto's long-legged kitchen stool is the ideal height for cozying up to tall high-top tables and bar counters. The frame has a solid birch core with birch laminates while the low molded birch plywood seat back offers just the right amount of back support. This beautiful natural birch stool with a built-in backrest has been providing high-quality design with function since the 1930's. 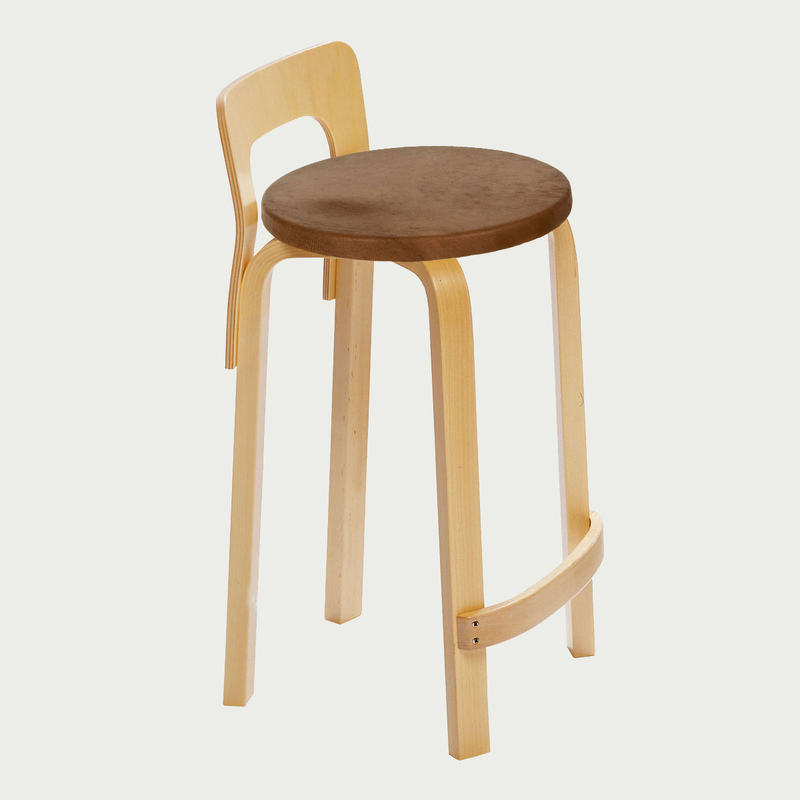 The stool is available in classic birch and your choice of upholstery fabric. Made in Finland by Artek. Simple assembly required.